Sexual harassment doesn’t just occur between management and employees. It can also take place between team members as sexually explicit talk, insinuation or physical touch. Unless employees are trained on clear boundaries, lines will be crossed — especially with new hires ignorant to the rules. 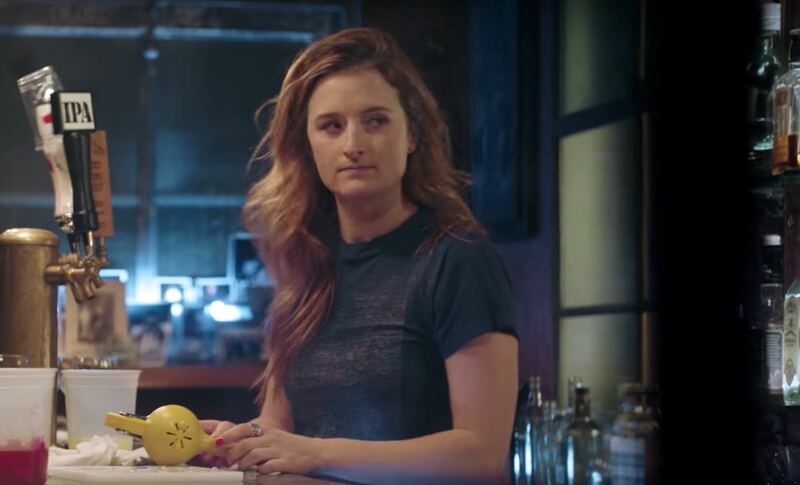 The groundbreaking sexual harassment video series #ThatsHarassment has a bluntly powerful episode with “The Coworker”. Based on a real incident, the scene depicts a bartender giving inappropriate advice to his co-worker on her first day. The situation demonstrates how it only takes minutes to sexually harass someone in a way that can leave a mark for a lifetime. While it’s doubtful anyone on your team would be so overt or crass (the scene contains profanity and blunt sexual talk), this clip does provide an opportunity for clearly discussing the boundaries for both speech and physical touch between co-workers. WARNING: Preview this clip before sharing! NOTE: The National Women’s Law Center has a discussion guide you can download for all the videos in the #ThatsHarassment series. How did this scene make you feel? Why? What types of harassment took place in the scene? What other forms does harassment take? Do you think the man in this scene knew he was sexually harassing the woman? Explain. Does it matter if he was being intentional or simply ignorant? Why or why not? What are the proper boundaries for speech and touch between employees in our company? If this happened in our company, what should the woman in the scene do next?